We likes boxies, filled with yummy goodies. 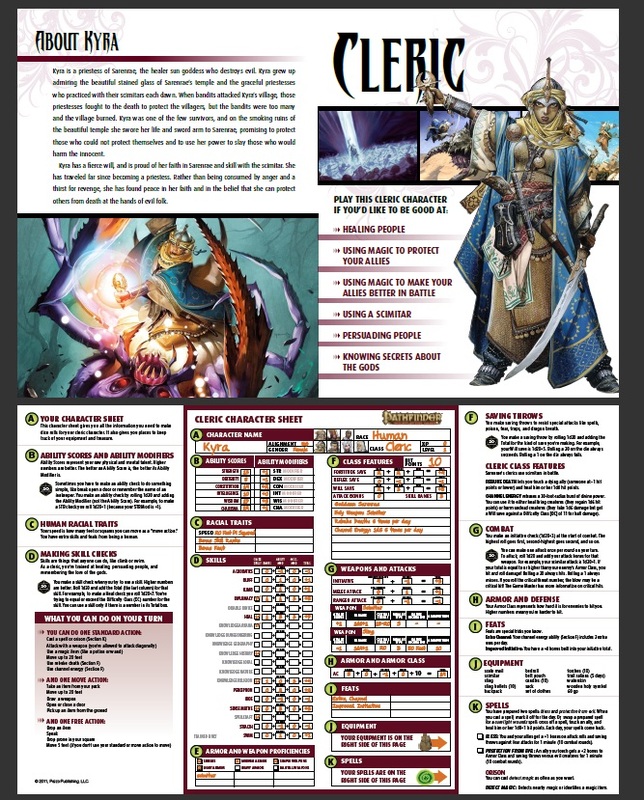 Buy / Pre-order at Paizo - to be released: October 2011. It's a box. A Pathfinder Beginner Box. I likes boxes. Maybe it's a Christmas thing. Maybe it's TSR boxed set thing (nostalgia flashback to the early 80's). Naturally, longevity is an issue, hardbacks live longer, but the Tyrell Corporation put in a fail-safe, a 4 year life span ... but I digress. If you look after your boxes they will last as long, I swear! Double-sided Flip-Mat - with a map on one side and a general purpose grid on the other. 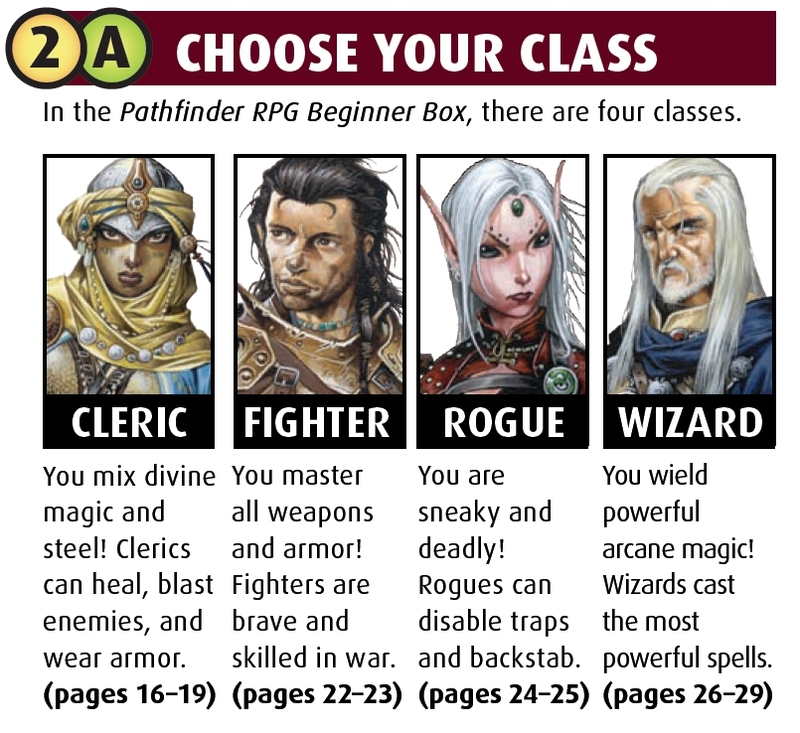 Four classes? 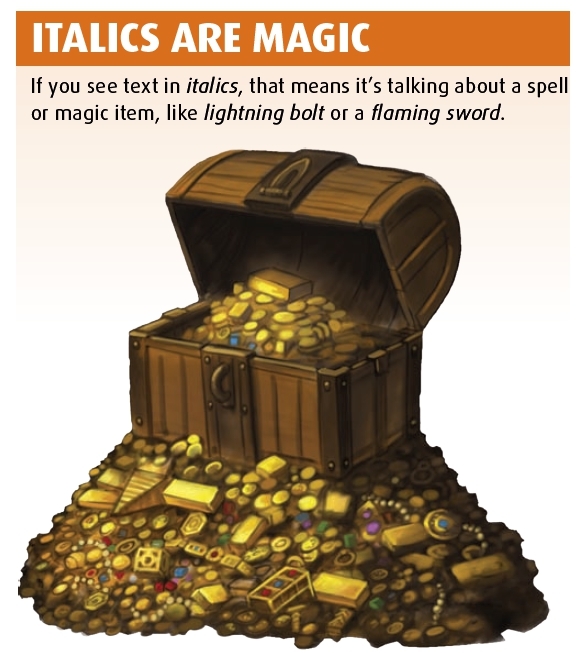 How basic... ;) Love the descriptions! Preetty pictuurs make me want to bie it. 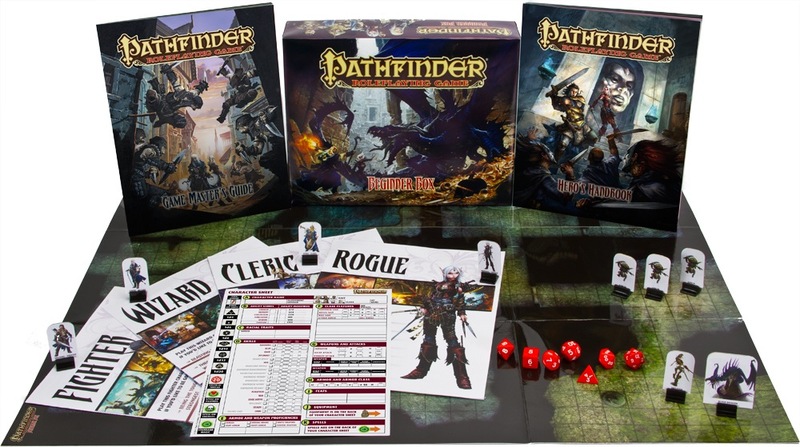 Free downloadable expansions from the Paizo site. 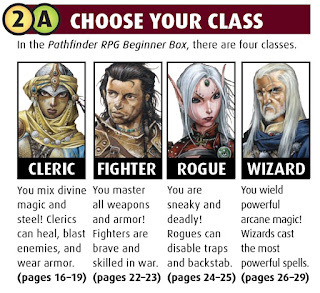 If you're new to the Pathfinder RPG and are unaware of the close relationship it has with the d20 SRD and the Wizards of the Coast's Open Game License you can check out the rules fundamentals here: Pathfinder Roleplaying Game Reference Document - The big not-very-secret gaming secret is that Pathfinder is actually D&D 3-3.5. 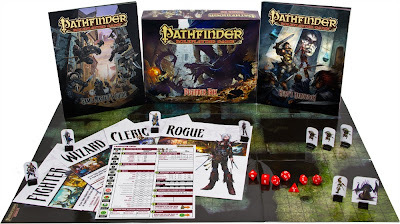 So playing Pathfinder can be our way of going back in time before the dark veil of 4th edition descended (okay, not I'm serious, just a nod and wink towards the editions warriors). Wait a second! So why do we have to read the rest of the rules? 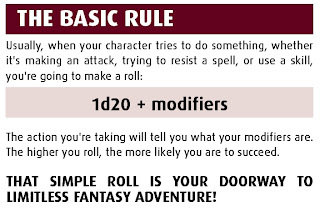 Also I love the idea that somehow the d20 could be a bit like Frank's portal-opening box in Hellraiser "We have so much to show you... ...starting with your character sheet!" 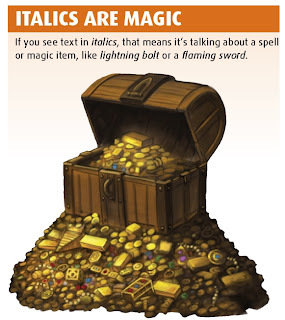 From the GM's Guide Bestiary. 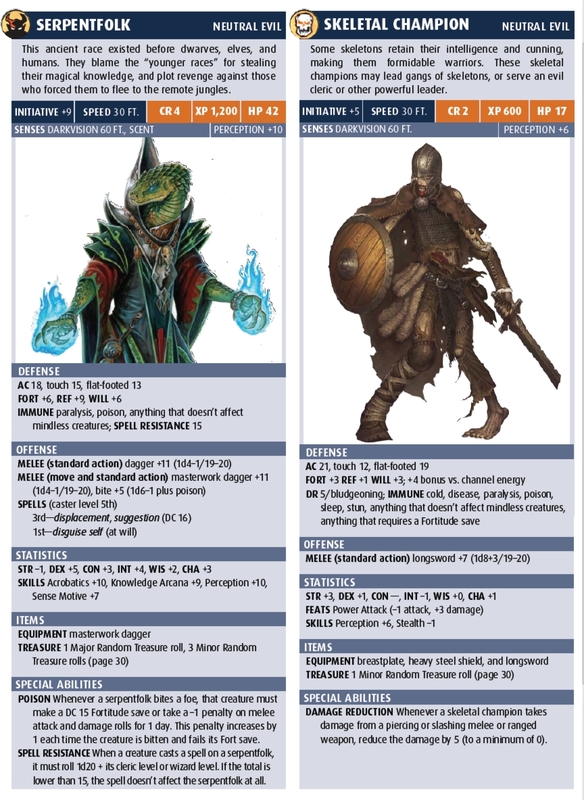 A lizard dude and a skellington. Nice art, familiar stats, but strangely blocky, somehow similar to that other game. Hi Kyra! 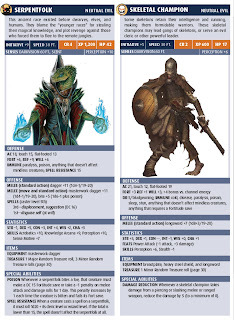 Both sides of the cleric character sheet. 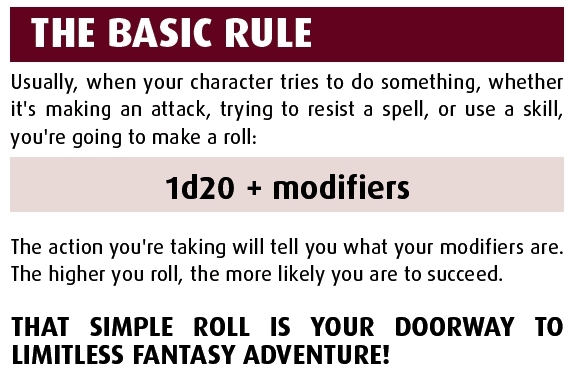 It's nice to read that as well as the pre-generated characters there's also rules for rolling up characters from scratch, which sometimes get dropped from starter sets and game primers. Your writeups are excellent Mr Babble, standing applause. 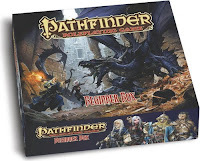 And yes, Im totally sold on this box, even though Im not playing Pathfinder (right now) so its a purchase as soon as I can get my grubby hands on it. Thanks. I'm trying perfect a writing reviews about products I have never actually seen! Nice review by the way! How do you judge it in a scale of values from 1 to 10?